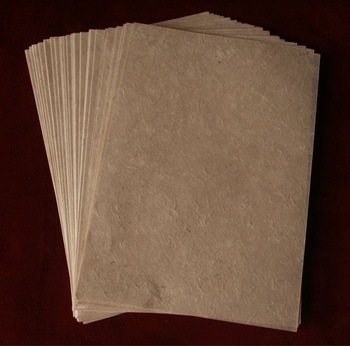 Damauli –With the increasing demand for the indigenous Nepali handmade paper, a Nepali paper industry has increased its capacity to meet the demand. Shukla Gandaki Nepali Paper Industry, established three years ago at a cost of Rs 10 million, at Shukla Gandaki municipality-4 of Tanahun district, has increased its capacity investing additional Rs 10 million on it. Industry proprietor Santosh Raj Sigdel said that said that500 sheets of Nepali paper are being produced from the industry every day. He said that there was no problem of market for Nepali paper as there was high demand of Nepali paper in different districts including Tanahun, Kaski, Gorkha, Chitwan and Lamjung.